The village of Ilsington is a small rural community located on the eastern flanks of Dartmoor National Park, six miles north-west of Newton Abbot in South Devon. Ilsington and its surrounding rural hamlets which include Haytor, Sigford, Higher Brimley and Green Lane, have a population of approximately 800. Ilsington village centre, with its 15th century church, primary school and local pub is a natural focus for all its adjacent hamlets and until very recently has always had its own shop and Post Office. The previous village shop (called The Ilsington Country Store), which had served the community since 1905, finally closed in December 2008 due to family commitments. Its closure left a huge gap in the community, taking away not only the convenience of local shopping but also a much-valued meeting place and focal point for the community. 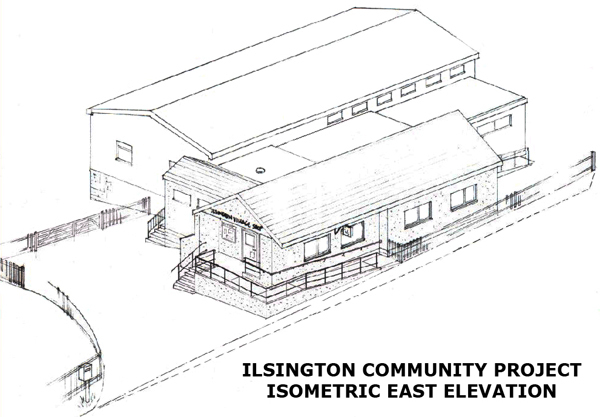 Concerted efforts by the local community, the Post Office and the proprietors of Liverton Post Office allowed the retention of a mornings-only post office counter service at Ilsington Village Hall. However all retail facilities were lost, necessitating a journey of several miles to the nearest shop. This prompted the local community into action with an aim to transform the existing Village Hall into a community hub and focal point for village activities, by providing space for a new community-owned village shop and additional meeting room. The site is ideally situated in the centre of the village adjacent to the Millennium Garden and children’s play area. Several well attended meetings, enthusiastic positive responses from two questionnaires and many generous contributions to the project fundraising all confirm that the community is fully behind this initiative. A committee was set up called the Ilsington Village Shop Association (IVSA) and its members are local residents who had both worked and shopped within the previous village shop. 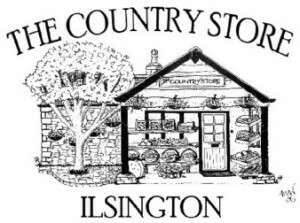 As an Industrial Provident Society, the Ilsington Village Shop will be run by the community for the community, with any surplus funds being used to re-invest in the enterprise and also to support local social objectives and charities. The venture will be of benefit to all the community, reducing car journeys, creating employment, providing an outlet for local produce and importantly improving the social cohesion of the village. Support for this project is immense and during the time that Ilsington has been without a shop, local farmers and retailers who used to supply the original shop, have attended regular Community Markets at the Village Hall to raise money for the build, maintain a connection with past customers, and keep the Ilsington Village Shop in the forefront of people’s minds. Dartmoor farmers and other local producers of meat, bread, vegetables, eggs, cards and honey all welcome the existence of a new village shop and the project has become a catalyst for other community ventures too, such as “grow your own” food in the village allotments and gardens. After three years of continuous effort and fundraising from the whole community, planning permission and funding for the structural build is now in place and work began on the build at the end of January 2012. Below is the original plan for the new shop designed and drawn by Brian Major.